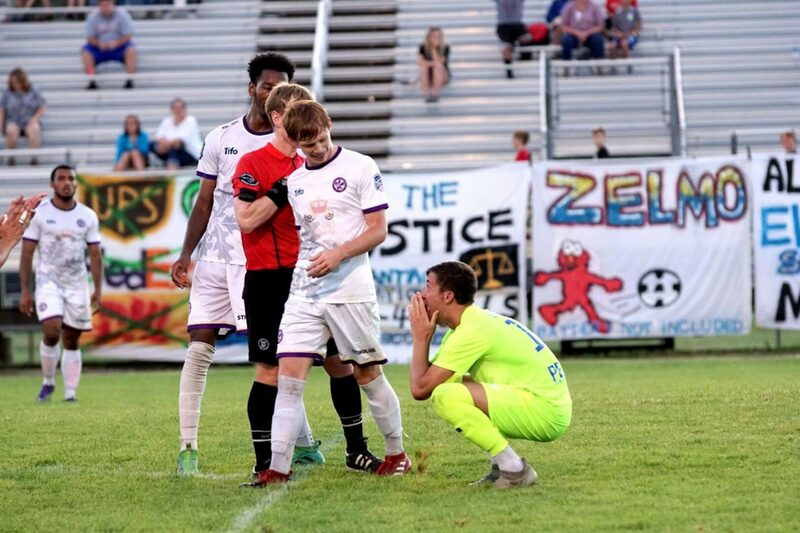 MUSKEGON – In a game that featured six yellow cards, two ejections, and plenty of choice words, Saturday’s Muskegon Risers game was anything but routine. 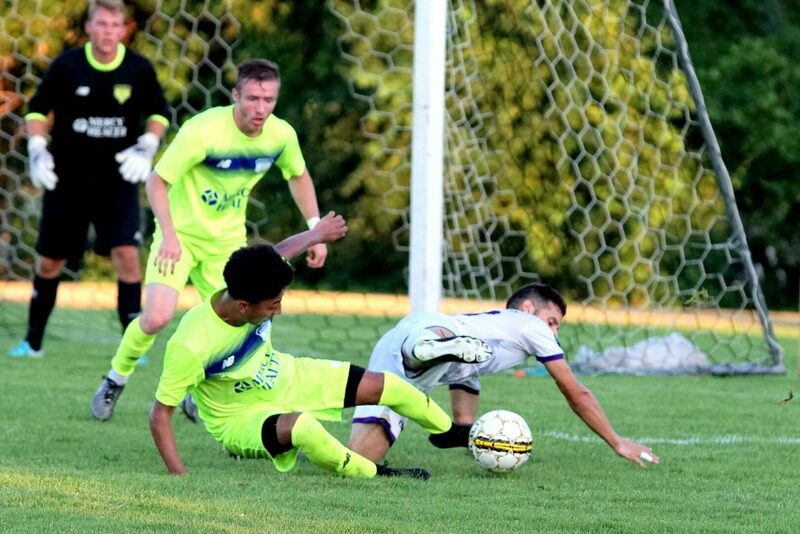 The Risers came out with a 3-1 win over Oakland County FC, but the game was never secure until the final second ticked off the clock. Four different OCFC players were booked for yellow cards along with a coach being ejected. For the Risers, Justice Sikkema got tossed after receiving two yellow cards. Muskegon appeared to take control of the of the first half with a pair of goals coming eight minutes apart. 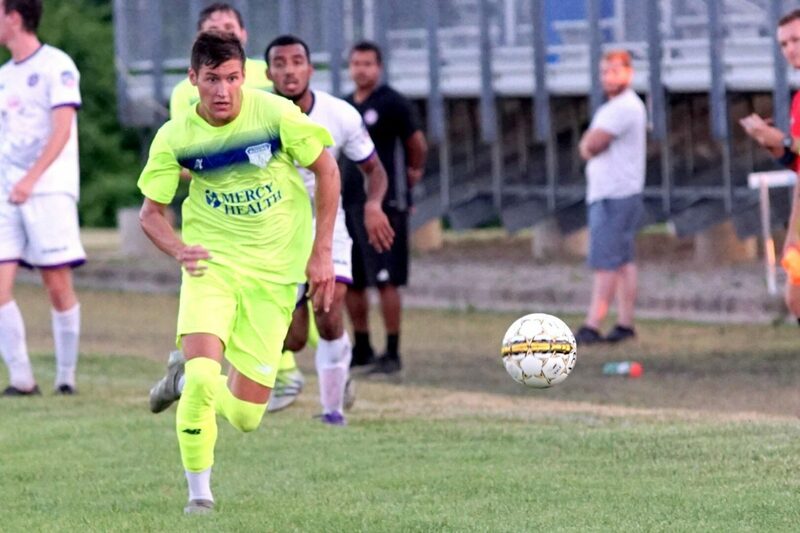 Matheus Lima gave the Risers a 1-0 lead at the 25:41 mark and Sikkema followed up with a tally to give the Risers a 2-0 lead. Aldony Mendez set up Sikkema after rebounding his own missed shot. But Oakland responded with a barrage of scoring opportunities as the opening half wound down and scored its lone goal at the 10:20 mark. Riser goal keeper Carter Selvius kept Muskegon from losing control and tallied six first half saves. Selvius finished with 11 saves overall. The Risers defense was key in the second half and held on to their slim 2-1 lead while frustrating Oakland in the process. With just two minutes left, Stuart Collins picked up Muskegon’s third goal when a free kick slipped through the hands of the OCFC goalie. With the 3-1 lead, Muskegon appeared to finally have the win secured. But Sikkema received his second yellow card immediately after the Collins goal, forcing the Risers to play a man down for the remainder of the game. The win pulls Muskegon above the .500 mark in league play at 4-3-2 with one game remaining. The Risers are now 4-5-2 overall. The Risers cap off their outdoor season next Saturday with a home game against the USA Indiana Old Bhoys.